&. 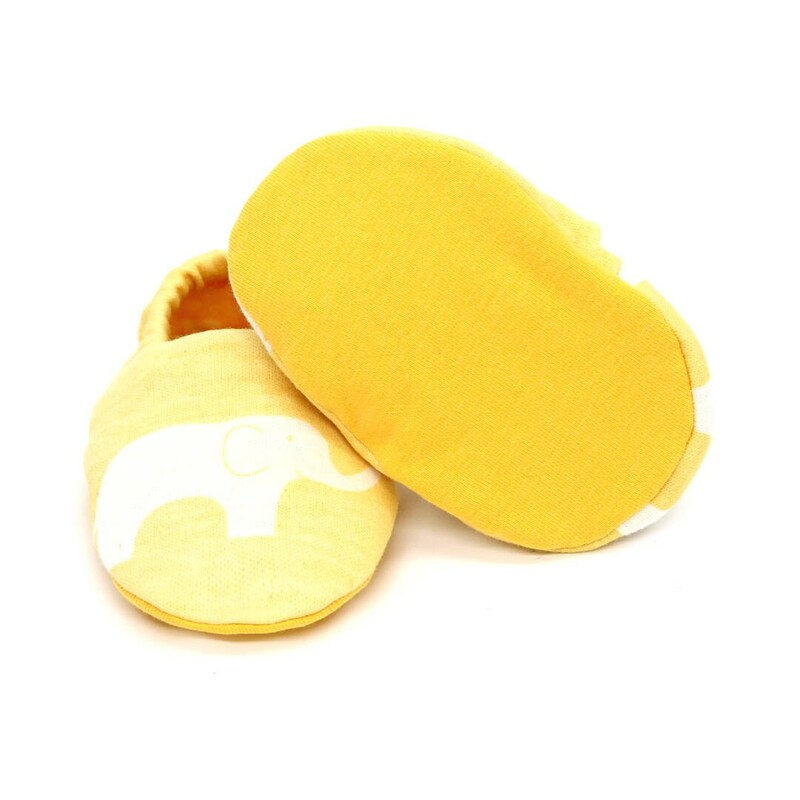 Sweet "soft sole" baby shoes made from organic cotton jersey by Birch Fabrics. 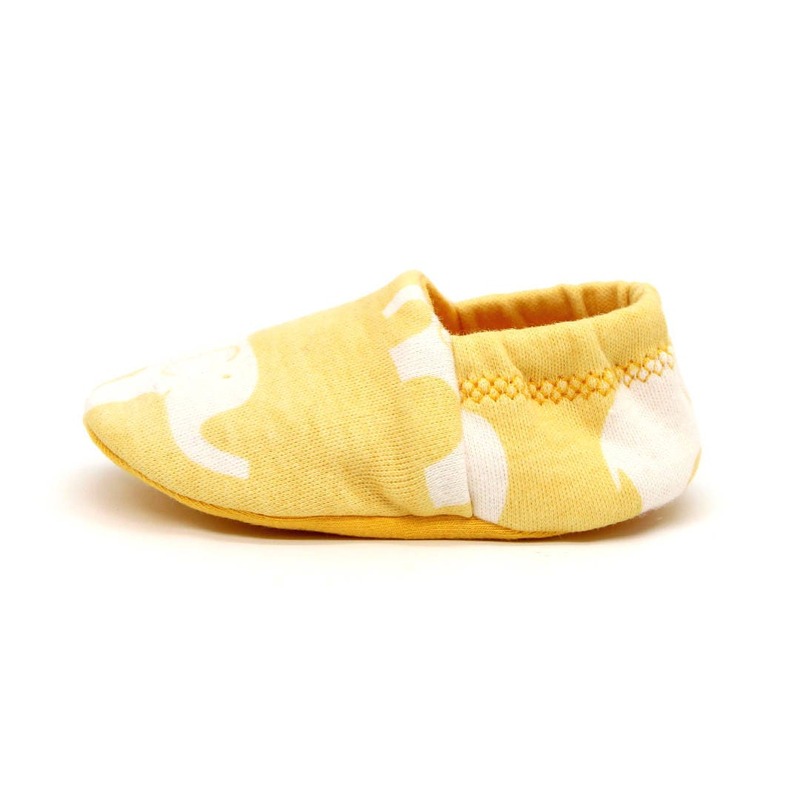 Contains 25% stretch, so the fabric is very comfortable and adapts optimally to the foot. 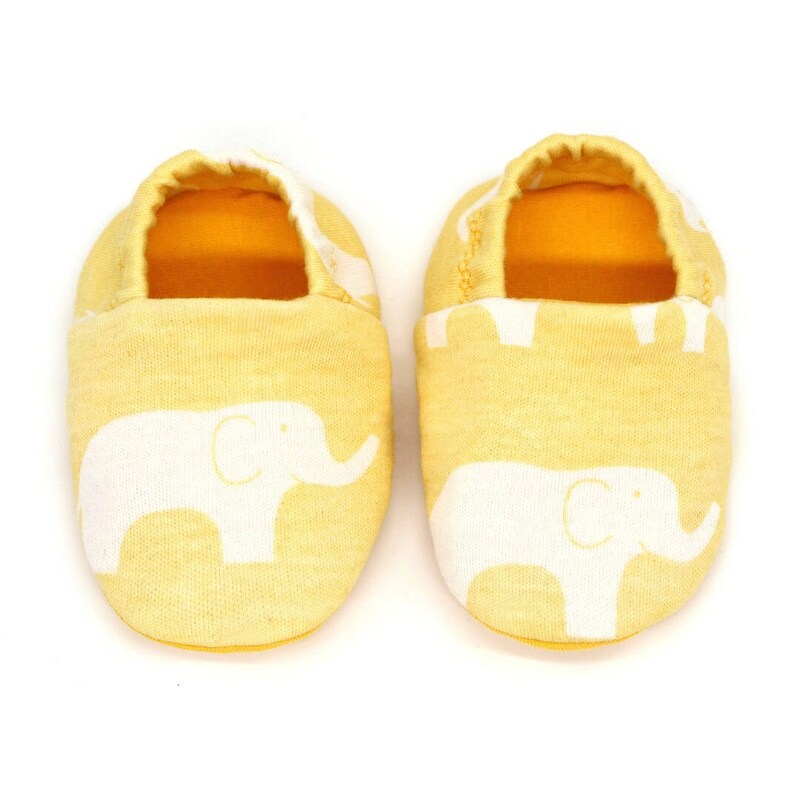 The sweet babies & minis "elephants" crawl shoes are made from an organic cotton fabric by Birch Organic Fabrics from the ELLIE FAM SUN collection. Birch Fabrics is a manufacturer from the USA that sells designer materials from 100% certified organic cotton from certified organic farming. The cotton is grown and harvested in an environmentally and socially friendly way, bleached chlorine-free and printed with heavy metal-free paints.